We have always been believing that classics would be eternal and have been working on building up more charismatic men with our brief design and top-leveled quality. Come to HXW.GJQ and you will find surprise. 1. 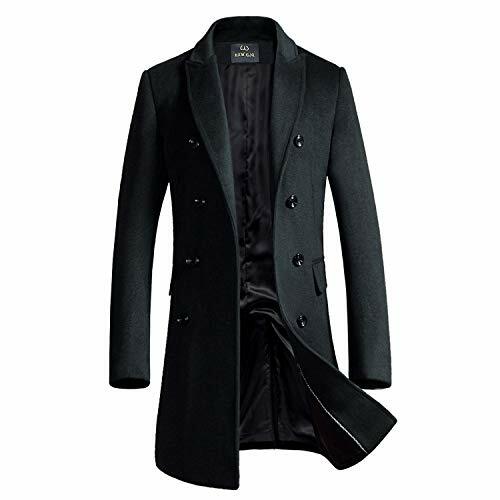 Made of wool and polyester,wool keeps warm and polyester make the coat more easy to wash.
2. Lapel collar, defend cold, fashion, won't change the good looking for the reason of washing. 3. Simple cuff, vintage gentleman. 4. Painstakingly process, without thread residue. 5. Fashion designed, Can wear on formal or casual occasions. If you have any questions about this product by HXW.GJQ, contact us by completing and submitting the form below. If you are looking for a specif part number, please include it with your message.